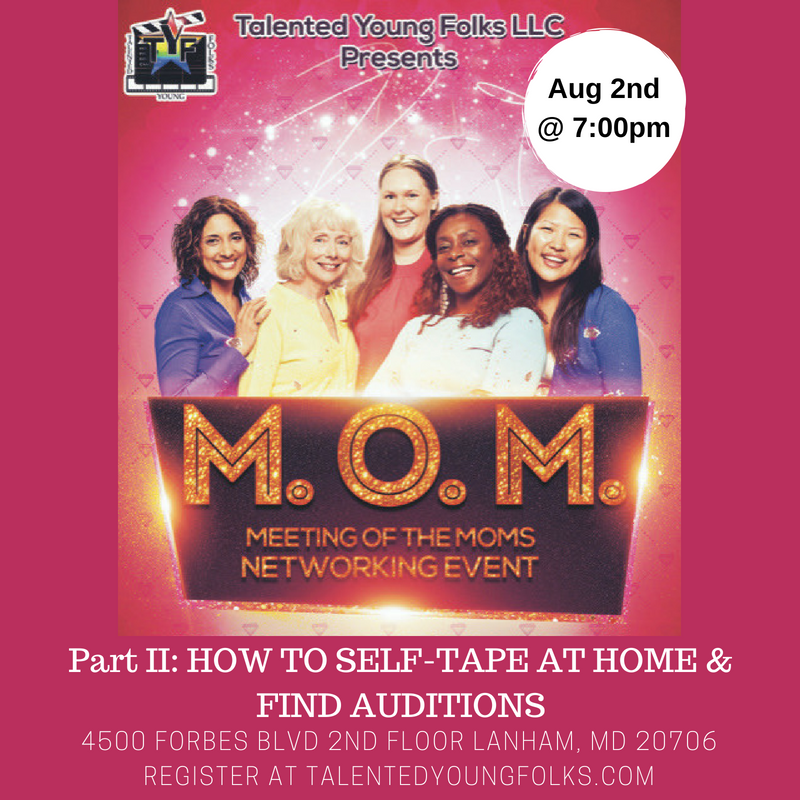 We meetup to discuss hot topics relevant to managing your child's career. Industry guests and agencies are invited as guest speakers to increase your knowledge base. Our MOMs always walk away with valuable information, new goals to achieve, and new parent managers to stay connected to. Register now for the next event! PART TWO: HOW TO SELF TAPE & FIND AUDITIONS! The MOMs had such a great time in May that we are bringing back the same topic and continuing the convo. There just wasn't enough time to share all the yumminess. So whether you attended last time or couldn't make it, Part 2 is for you! Register here to get on the list.